When it comes to Southern rap royalty, Memphis D-boy Yo Gotti often gets overlooked. He’s proven surprisingly resilient though, and his Internet-savvy “Down in the DM” (aka “direct message”) is only his latest rap hit to cross over to the pop charts. 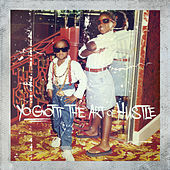 The Art of Hustle encapsulates his career: He chops up innumerable Dirty South bangers, some better than others. “Law” finds him rhyming alongside E-40, and on “General,” he and Future drop boasts over a beat that sounds like a single synth key being tapped indefinitely. When Yo Gotti dedicates a song to his “Momma,” and uses the third verse of the title track to reminisce over his success, he reminds us that he can plumb deeper insights than a hood anthem when he wants.